The candidate of the PDP, Mrs Abbey Ukpukpen, has won Saturday’s Obudu State Constituency bye-election into the Cross River House of Assembly. Mrs Abbey Ukpukpen is the widow of a member of the Assembly, Stephen Ukpukpen, who died in May. According to Briyai, the PDP Candidate scored 12,712 votes to beat her closest rival, Mr Ishamali Bendel, of the APC, who scored 4,345 votes. 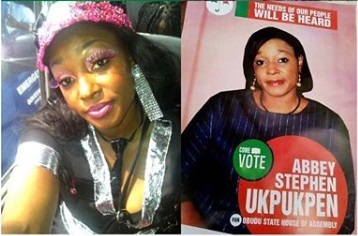 Mrs Abbey Ukpukpen, a staff of the University of Calabar, will now replace her late husband in the assembly.